America’s Best Coffee is switching it up! We are super excited to announce that we will soon be serving Boba. For those of you who are not familiar with Boba here is a brief history/tutorial. Boba was created in a Tea shop in Taiwan in the late 1980’s. No one can claim responsibility but many have laid stake to the inception of Boba. 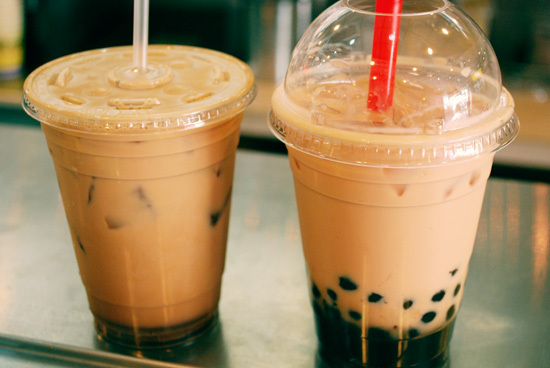 Essentially Boba or pearls are bits tapioca added to an iced beverage that add flavor and texture. Sounds strange right? Wrong, they are AWESOME. Usually added to milk teas or fruit teas, these delightful delectables are entirely versatile. We are in the recipe trial stage right now and so far my favorite is an iced Chai tea latte with a pump of cinnamon and Boba. You get all the warmth of the spices with the refreshment of a cool beverage and the satiety provided from chewing the Boba. All in all the perfect treat for Spring. The possibilities are endless and only limited by your imagination. The tea culture has died down in the U.S. We are a nation of coffee drinkers. However, we are also at a juncture where our palettes are prepared for more. There are some unique flavors Boba is paired with such as Avocado or Taro root. We look forward to experimenting and finding your new favorite drink! 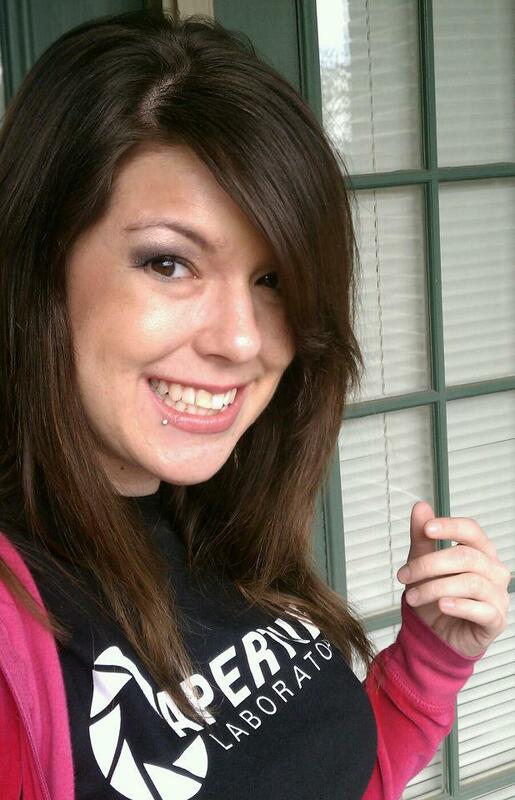 So we haven’t blogged in some time but I am excited to start up again! 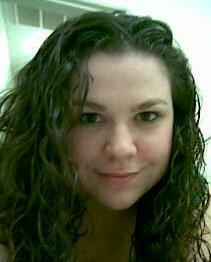 My name is Isabella and I’ve been working at ABC since February however, coffee has been my career for the past 10 years. So lets get this show on the road. As the holidays bulldoze their way over us, I have been spending a lot of time thinking about family. Most of us have one whether it be traditional or a group of closely knit friends that you can’t live without. With all of this family togetherness the likelihood for stress actually increases. Strange right? Not really. With such a wide variety of personalities all shoved under he same roof with the added pressure of shopping for the perfect gift and crazy Uncle…. (you all know I’m talking about), its hard for there not to be some sort of situation. What can prevent this insanity for transpiring? Good question cause I have the perfect answer. Celebrate those fleeting moments with a cup of coffee, some warm conversation, and America’s Best Coffee. Here at America’s Best Coffee, we’ve always known coffee makes us feel better. It’s the root of our energy, smiles, inspired knowledge, and of course, our paychecks. But it’s been interesting to see the recent research that is backing up our claims on a more medical level. 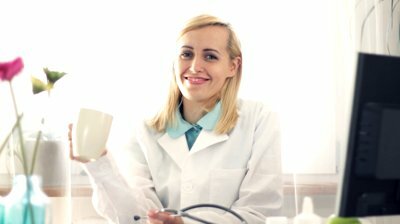 I decided to compile information from the latest medical data on the physiological benefits of coffee and give you all a quick overview. In over 15 published studies, participants coffee habits have had an overwhelming correlation to their instances of Type 2 Diabetes. This is possibly due to the antioxidants found in coffee, as the apparent benefits hold true for both decaf and regular coffee drinkers. Coffee also contains magnesium and chromium, which help the body in its use of insulin. Coffee has been linked to lower risks for heart rhythm variances. A 2009 study suggested that women who drank two or more cups of coffee a day had a 20% lower risk of stroke than those who drank less or no coffee. Although it’s not clear why, there have been very consistent results showing a lowered risk of Parkinson’s Disease amongst coffee drinkers compared to non-coffee drinkers. In a 2009 study, it was suggested that people consuming 3-5 cups of coffee per day were 65% less likely to develop Alzheimer’s disease than those who drank less coffee or none at all. While there is much more research needed, preliminary data shows a consistent decrease in risk for liver cirrhosis and liver cancer amongst coffee drinkers compared to non-coffee drinkers. Some other studies have showed possible links of coffee to reduction in risk for breast and skin cancers. The newest of coffee studies, and the largest of its kind with over 400,000 participants, revealed a correlation between cups of coffee per day and extra years of life lived! It even suggests that drinking two cups of coffee per day could lengthen your life by 10%. While this is all potentially great news, we know correlation does not always equal causation. But we can hope it turns out that in these cases, it does. Until then, we will always take comfort in knowing it gets us going in the morning and smiling through the day! This past week, a customer let me know that when she told a friend she liked her coffee cold, the friend responded with “Bleh! Gross!” I found this amusing, but also interesting. How many people automatically think of coffee as a hot beverage and absolutely unenjoyable any other way? With summer weather already here, I thought this would be the perfect time to present cold coffee in its best forms. Brew the coffee as you normally would, pour it into a pitcher, and set in the fridge overnight. With half the water of your pitcher volume, brew the amount of coffee you would for the full amount (ex. For a 2 liter pitcher, you would use your normal measurement of 1-1/3 cup of coffee for the 8 cups, but only brew it with 4 cups of water). This makes the coffee double strength. Then, you will fill your pitcher about 3/4 full with ice. When you pour the coffee over the ice, it will re-create the correct balance of water to coffee while instantly chilling it. There are also cold brew systems available for coffee, although I don’t have first hand experience with it. My friend swears by his Toddy Coffee Maker, which is under $40. With both of these methods, I suggest adding light ice to the cup as well. While you can enjoy it black, it’s always fun to add milk (half and half is the best in iced coffee! 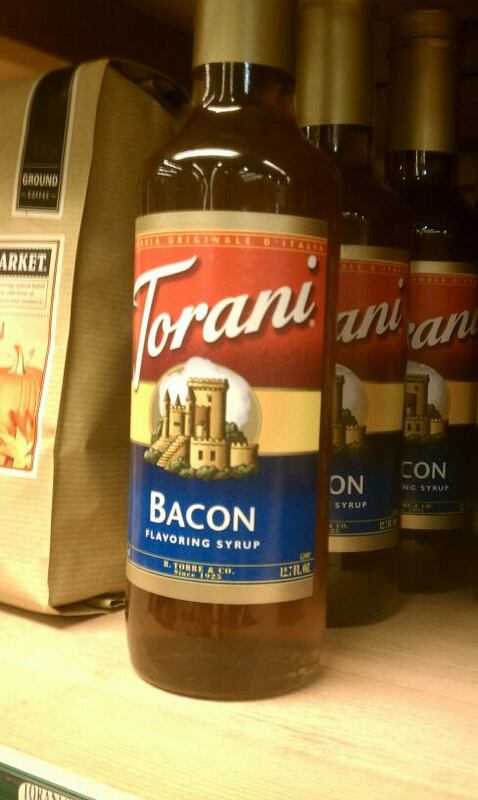 ), sweeten, and even flavor it. Syrup sweeteners are the best way to go with a chilled beverage, as it leaves no spinning specs or uneven flavor in your drink. Don’t worry, dieters -there are also lots of sugar-free syrups out there that are made with sucralose (Splenda©). We have a few of our flavors for sale, but I must also give a shout out to World Market for having an amazing selection of syrup flavors. This one is a fairly simple idea. Whatever the hot drink is, we make it with all the same ingredients, but cold. Americano – is shots and hot water, so iced, its shots, cold water, and ice. 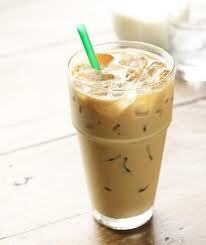 Latte – is shots and steamed milk, so iced, its shots, cold milk, and ice. Chais – are chai base and milk steamed together, so iced, its chai base, cold milk, and ice. If you’ve never had one of these, try it next time it’s really hot outside and you need your espresso fix. Most people are surprised at how much they like their favorite espresso beverage iced. ABC also features the Espresso Martini, which is a shaken iced espresso with a flavor (Irish Cream/Cinnamon is the best! ), and cream layered on top of the foam. It’s delicious! Ok, so since we’re talking cold coffee, we’ll go ahead and throw these frozen blended joys on the list. Frappes are not coffee in its purest form, but rather a freeze-dried (or somehow particled) and ready-to-blend coffee powder. Yeah, even that name-brand pumps a powdered mix into your cup; they just mix it ahead of time. BUT – in all forms, it is absolutely still coffee. I love adding extra shots, and at ABC, that means adding REAL chilled espresso! 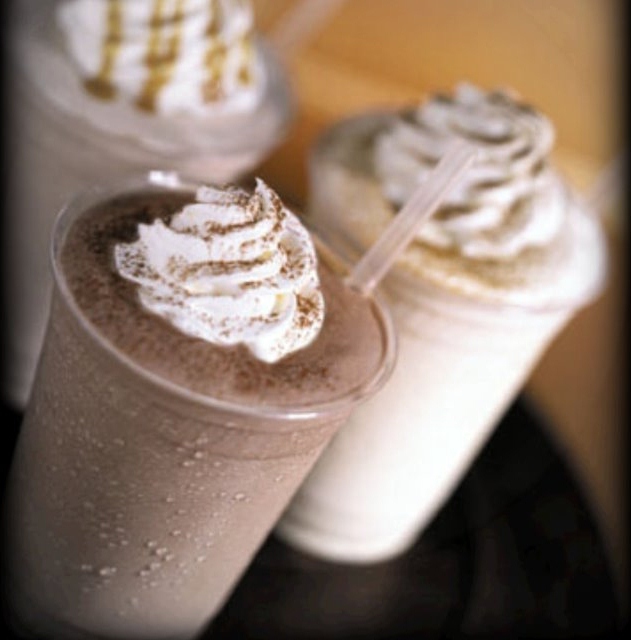 Many frappe recipes can’t be made completely sugar-free, but we can definitely find ways to cut those calories for you. All of our frappes at ABC are under 200 calories when ordered without alterations. None of our frappes are made with dairy (unless it has whip cream, of course). All coffee frappes on the menu can be ordered as a cream version (no coffee) and vice versa. We have some delicious inclusions available, such as chocolate chips, Oreos©, and malt! dessert and coffee in one cup! I hope this answered any questions you may have had about “cold coffee”, but as always, you can always ask me anything coffee related via our Facebook page – www.facebook.com/Americas-Best-Coffee. We want to come home with you! Here at America’s Best we offer a variety of whole bean coffees for purchase by weight to take home and enjoy when you can’t make it in. For most people, the thought of brewing coffee at home can be a bit daunting. Maybe you have brewed up and pot and thought, “well this is good but it’s just not the same”. We have too. After working with coffee for many years, we feel confident to share with you the secrets to the perfect cup of coffee at home. 2. Pick your brewing method – Depending on how you plan to brew your coffee will make a determination on the grind appropriate for the best cup of Joe. The finer the grind, the more surface area is available to make contact with the water. The longer the brewing method, the coarser the grind should be. We an grind your coffee for you, but strongly recommend grinding at home so your beans are as fresh as possible. We can also grind a portion of your beans and you can come back at any time to grind the rest. Turkish coffee is always ground as finely as possible. 3. Water to ground coffee ratio – the perfect ration of water to grounds is 6 ounces Water to 2 tablespoons Ground Coffee for brewed coffee and equal ounces of Water to Ground Coffee for espresso. Filtered water is preferable over unfiltered – do not ever use distilled water. If you prefer your coffee a little weaker it is best to add some hot water to the brewed coffee after it is done brewing. Sharing with friends and family-coffee is a great excuse to interact with your fellow humans. A conversation over a cup of Joe is a great way to get to know someone or to catch up with your favorite pal. Stop by today for a pound of Mexican beans with a subtle sweetness and a hint of nuttiness or a half-pound of French Roast with a smoky boldness and deep rich texture. Yes, ironically this coffee centric blog will begin with a discussion about a tea inclusion, but it seemed fitting as we just reintroduced the availability of boba here at the shop (just in time for the warmer weather), and many of you have wondered what this wonderful addition is all about. First – exactly what boba is: little balls of tapioca goodness simmered to softness and soaked in a sweet syrup. Why? – well, it is delicious in cold beverages, usually tea…traditionally milk tea. Who comes up with the stuff? 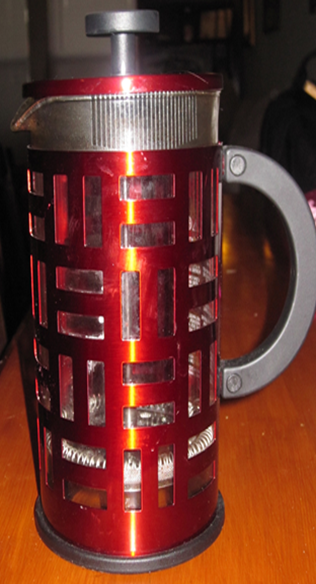 – It originated in Taiwanese tea houses as a recipe for cold milk teas.